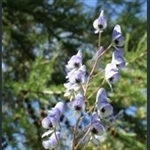 Rare tall perennial with loose spires of light blue hooded flowers. Tall panicles of small, creamy flowers. 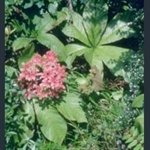 Tall plant with dissected leaves and strong heads of fluffy pink flowers. Fluffy panicles of masses of tiny, starry, white or pink flowers.